Avast! 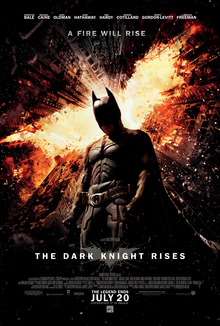 Third Trailer For The Dark Knight Rises. Posted on May 1, 2012 by Big Red	in Trailer Booty and tagged bane, batman, christian bale, christopher nolan, film news, film trailers, movie news, movie trailers, the dark knight, the dark knight rises trailer, tom hardy. A fire will rise…along with your pants after you watch this latest trailer for the third and final installment of the Christopher Nolan directed Batman franchise. Of course there’s a lot more plot reveal in this trailer including an elaborate jail break from a mid-flight plane. July cannot come quick enough. Batman May Occupy Wall St.
Posted on October 20, 2011 by Big Red	in Movie Booty and tagged batman, batman could film occupy wall street protests, christopher nolan, film gossip, film news, movie gossip, movie news, occupy wall st, the blaze, the dark knight, the dark knight rises news, the slate. Nothing cheapens a legitimate protest over unregulated greed and economic irresponsibility than the involvement of a ridiculously well financed Hollywood blockbuster movie, but that’s exactly what could happen if the latest Batman movie, (The Dark Knight Rises), films at the ongoing Occupy Wall Street demonstration in New York. The Los Angeles Times is reporting that a rumoured casting notice has been issued to crew outlining a plan to shoot in the cityon the 29th of this month and scenes could include the Occupy Wall Street protests, as urban unrest is one of the main themes latest installment of the Batman franchise. It’s unclear how protesters would react if cameras for “The Dark Knight Rises” were nearby. A former independent-film director, Nolan wouldn’t seem to have much in common with Wall Street fat cats. But he is overseeing a $250-million production financed by one of the world’s largest media conglomerates. On the other hand, some demonstrators may find that the film accords with their mission. The casting call says that characters will inhabit “a city besieged by crime and corruption.” That’s almost like a description you’d read on a, well, Occupy Wall Streeter’s protest sign. We’re hoping this is just another of director Christopher Nolan’s infamous red herrings for throwing the press off the scent of his latest movie, as it would be pretty crude and unseemly to hijack a legitimate protest about financial greed with a multi million dollar movie about a wealthy capitalist who spends his spare time running around in a cape and tight fitting spandex. Avast! The Dark Knight Rises Teaser Trailer. Posted on July 18, 2011 by Big Red	in Trailer Booty and tagged anne hathaway, batman, christopher nolan, dc comics, the dark knight, the dark knight rises, the dark knight rises teaser trailer, tom hardy. Set phaser to shitters! Here is your first look, (and by look we mean around five seconds of actual footage from the film), at what will become the most over hyped movie of a generation – The Dark Knight Rises. The third and final Christopher Nolan installment of the Batman franchise will be released next year and will feature Tom Hardy as muscle bound Bane and Anne Hathaway as Catwoman. Cast Announced For The Dark Knight Rises. Posted on January 20, 2011 by Big Red	in Geeky Booty, Movie Booty and tagged anne hathaway, batman, christopher nolan, dark knight rises cast, film news, movie news, the dark knight, the dark knight rises, tom hardy. Word is burning through the Internet like alien blood through body armour that two key cast members for the third Batman film have now been officially announced. Warner Brothers along with director Christopher Nolan have confirmed that actress Anne Hathaway will slip into the role of Catwoman in The Dark Knight Rises…in his pants! …and actor Tom Hardy, (he of Bronson and Inception fame), will play steroid muscleman Bane, who once famously broke Batman’s back in the graphic novels comics. We here are of the opinion that a third villain will be eventually announced to coincide with the number of films which would round things off nicely, but we’re not about to guess who or what that character that will be. Many insiders believe this will be the last Batman movie Nolan helms but consider that the franchise will continue.